Inner Cable Number 0, 50 foot coil. 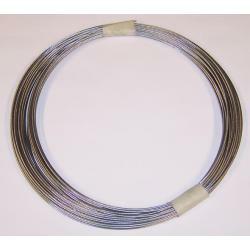 This has 12 strands, and is mostly used for very lighweight applications, such as bicycles and lawnmowers. The cable has a diameter of 0.050 inch, or approximately 1.25mm.